How to convert NEF Photos to JPEG2000 easily? 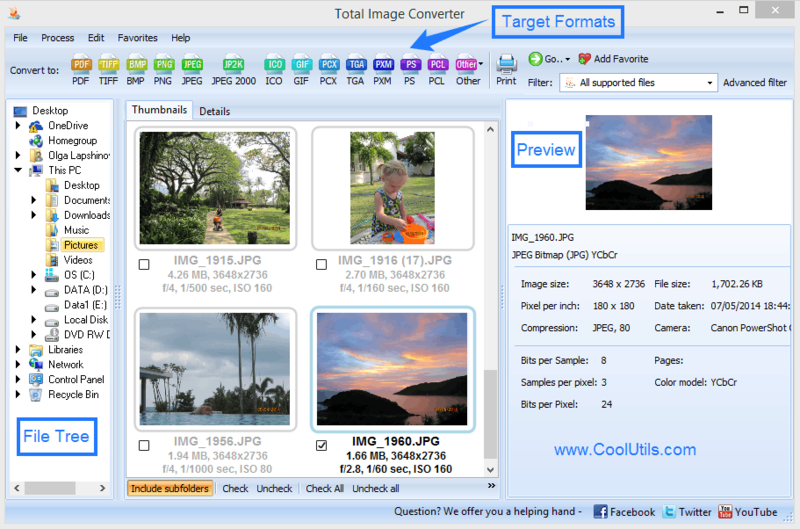 You are here: CoolUtils > Total Image Converter > How to convert NEF Photos to JPEG2000 easily? 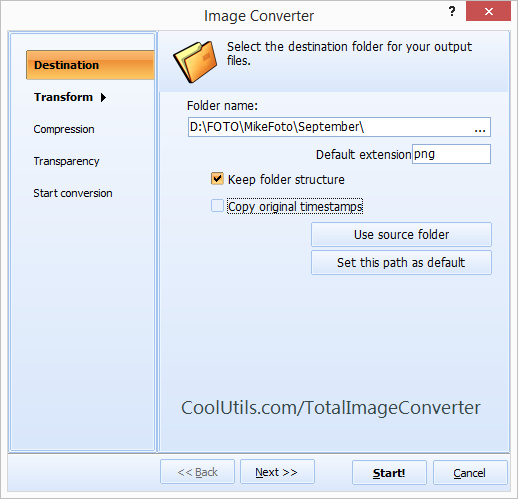 The Total Image Converter allows you to convert your raw Nikon camera files into JPEG 2000 images in the blink of an eye! Here at CoolUtils, we realize that every camera is different and just because you’ve taken a batch of pictures doesn’t mean those image files are ready to use. In response, we’ve designed a fantastic new conversion tool that not only prepares your images, but converts them into the industry’s leading standard for professional grade digital imagery; the JPEG 2000. A wider range of supported colors. Fewer communication errors when sharing online. Increased resolution accuracy through denser pixels. Progressive transmission optimized for use in video. Enhanced compression for smaller file sizes. A boost in performance for quick load times. With the Total NEF to JPEG 2000 Converter you will not only be making your Nikon NEF image files accessible to other devices, you'll be boosting their scalability, editability, and performance; widely enhancing the options that will be available to you when the time comes to choose how and where to utilize them in your projects. 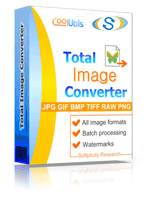 The Total Image Converter was created with the idea in mind that we could offer our users greater control over their images through helping to make their own creative works even better! We accomplish this is by offering users the tools needed to perform a variety of image conversions that can be performed in both single and batch style operations. Try our free 30-day trial today, and check out some of our other JPEG 2000 conversion formats including CR2, CRW, DNG, RAW, SRF, ORF, BAY and MRW and more!